All of us would want to have a financially secured and a more comfortable retirement. In order to achieve our financial goals for our future, most retirement advice that we get from that experts is that we have to make the best choices for our investments. Investing is definitely the best and proven formula to achieve our long term financial goals — and it is very critical that we start to invest as early as possible. When it comes to preparing for a more secured retirement, it is really important for us to choose the best investment mix for our retirement account, and it is best to know and understand the kind of investment accounts that we choose. But how do we choose the best retirement plan investments? It is known that creating a diversified investment portfolio is the best way to create a better portfolio. As a matter of fact, experts believe that two of the most effective investment concepts for better retirement planning are asset allocation and investment diversification. Understanding these concepts is most recommended if we want to make the right choices when it comes to our investments. Basically, there are two major formulas in order to make effective choices when it comes to investing, and these are the asset allocation for tax-efficient investing and diversification of funds. Asset allocation refers to the process of investing the funds in various types of investment asset classes, such as stocks, mutual funds, security bonds, and other stable value investments. 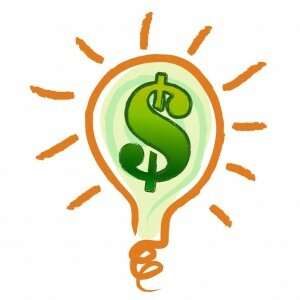 Through this method of investing, the investor spreads out his investment risk. So what is diversification, then? Diversification, in the same manner, is one-step ahead of asset allocation as this is the process of investing in a variety of investments within those asset classes. This may involve investing in value and growth stocks, or even investing in government and corporate bonds at the same time. We all know that that market can be very volatile, and this could create bigger risks when the investments are not managed properly. And with money market investing, different investment accounts generally have varied reactions to varying market conditions, the combination of both asset allocation and diversification work effectively in order to manage the risk that investors may face if they keep one type of investment in one asset class. It is important to understand though that the application of both asset allocation and diversification investment concepts does not necessarily ensure profits nor does this protect the investors against losses when the market suddenly declines. Rather, the application of these concepts just lessen all possible risks that investors may have to encounter. There are basically different types of investments to choose from — and it is really important for investors to know and understand each and every investment account available, and to know and understand all the possible risks that may be involved. Through this, they will be able to know which are the types of investments will best match their risk tolerance and retirement financial goals. 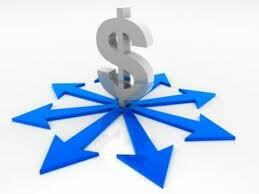 It is best to choose such investments and not just choose any type of investment account that are introduced to you. Through this, you prevent from being over-diversified. Thus, assess yourself, are you over-diversified? and lastly, the investor’s financial goals. We know that market conditions change regularly — and this is the common answer to “why invest in stocks?” question. Investors win when they invest while the market is down, and take their funds when the market is up. However, this does not always happen — and knowing our own tolerance for risks is very essential so we will know how to develop a better and effective investment strategy. This way, we will know our own investing style. It is also critical to know how much time there is left before retirement — because the lesser the time is, the lesser the risks that one should take. This is because there will be lesser time for the investors to ride out any downturns in the investment market. Of course, one should also consider the kind of lifestyle and comfort that he likes to have when he retires — through this, it is easier for the investors to determine their long term financial goals. If you are planing to have better and secured retirement, one of the best investing tips for retirement is that you should start investing as early as possible. Early retirement planning could go a long way, after all. You should also know how to invest regularly, as this will allow you to take advantage of dollar-cost averaging. In addition, you should also invest for the long term, and not short term. Knowing how to hold on to your investments will bring you better rewards. For more investment advice, make sure to subscribe and follow us now!